A lack of Generosity is a lack of Faith and Obedience! God is generous with His grace, so we should be generous toward each other and be thankful. And finally to refuse to see His goodness and turn from sin, is the ultimate contempt to our loving Lord! 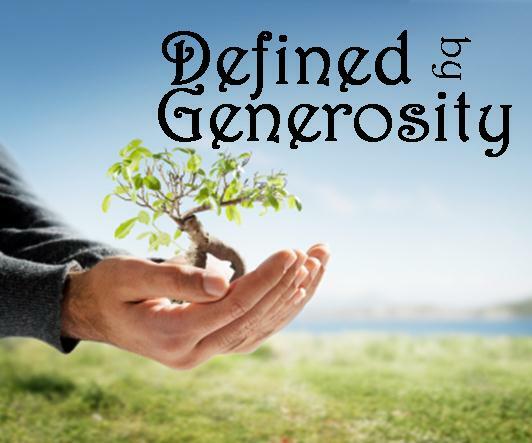 Generosity as a Scriptural definition, refers to giving without expectations in return. This attitude of Generosity produces our character allows us to give to others because God has given abundantly to us. It is the wise view and use of stewardship that all possessions belong to God. We are merely the caretakers for His purpose. It will see the Lord as the Source of true blessing, not our selfish desires. To despise God is to refuse to acknowledge His sovereignty and work, as well as His generous gift of grace. Refusing to yield your life over to God’s will, will cost you greatly in judgment and in life; as God’s ways are better than ours! The lack of Generosity will reflect a lack of faith and obedience! Giving generously involves much more than performing outward actions; it comes from what Christ is doing in the heart! True generosity must be motivated by a heart that is poured out in Christ. When a Christian is giving from selfish motives, they expect a return in their “investment,” when a real growing mature Christian gives nothing is expected in return. As their investment is eternal, the other so called Christian investment is in the world of today. The key to successful Generosityis the same as in our faith development, where being active is the deployment of our faith. See your faith and your stuff as products from God, where faith is His work in us, and our stuff and desires need to be His implements. In the church as well as the world, we as Christians are the product demonstrates of the precepts of our LORD. We do this by words and by our actions of our character and fruitful and faithful living. Be the difference, so others in your church can see our Living Lord in the mirror of yourself as you reflect Him! To reflect Him, we have to act, think, and be as He has called us (2 Cor. 5:20). If you think there are no rivers coming into you, then seek what is blocking them. Is it sin, attitude, fear….? God blesses those who steadfastly embrace His call, and who stay true to Christ. How do I exhibit Generosity in my daily life? What can I do to develop a mindset to know that all I have in life belongs to God, and, since He supplies all I have and need, I can model His grace through being Generous? What blocks me from being Generous? How can I make Generosity function better, stronger, and faster, even in times of uncertainly and stress? Generosity is an example of our trust and reliance on God. Because He has given so much to us, way beyond what we can comprehend, we can therefore be charitable to others. Thus, Generosity is an act of worship–to model Christ, and see the big picture that goods and material things are not important, but relationships are. This goes to giving back to God, providing to those who have less, and making sure your church is modeling this character. A selfish church that does not give, and only sees themselves as a charity, will become a Dead Sea rather quickly. How sad and pathetic that would be–an unconcerned, uncaring, and self-absorbed quandary to the neighborhood, and a disgrace to the Kingdom! How would you define Generosity? We are to make every effort to represent Christ and make the most of what we are given for His glory. We are stewards of all that we have, whether small or great. The better we use our gifts, the more generous He is with us with more gifts, abilities, monies and opportunities. We are called not to waste our opportunities; rather, be diligent and faithful to our call, abilities, and prayer with love and hospitality. Do what God has called you to do and do it with passion, truth, and in love! We are called to be charitable and generous to others with what Christ has given you, and to serve Him without being held back by fear, time, or lack of talent. And when we can’t do it ourselves, we can supply others with resources to make it so. As Christians, we are to typify faith and reason together so we can exhibit the maturity needed to make wise decisions and have a purpose in life. People in the world may be more concerned for their own needs and agendas than they are for God’s clear purpose, but as Christians, we are called to go beyond ourselves to serve others well (Titus 2). Kindness is the proof of authenticity (Rom. 2:1-4; 12:4-21; 16:1; 1 Cor. 12:7-11; Eph. 4:32; Col. 3:12-14; 1 John 3:16-23)! God is generous with His grace, so we should be generous toward each other and be thankful. For us to be good stewards, as we are called to live, serve, and do all that we do in life for the honor and glory of our Lord and Savior. How do we do this? Realize how generous and gracious our Lord is. We need to trust Him and accept His provisions, even when we do not see them. And finally to refuse to see His goodness and turn from sin, is the ultimate contempt to our loving Lord! (Acts 7:38; Rom. 3:2; 1 Cor. 1:26-31; Jude 24-25)! What are the things that cause you to be stingy with what God gives you? How does greed counteract Generosity? What happens to our relationship with God, and with others, when we refuse to see all that we have is His? When have you been filled with Generosity? In what situation did you fail to be Generous when you should have been? What issue is in your life now, which would improve with being more generous? Think through the steps you need to take to put Generosity into action in a specific instance. If you are not a giving or hospitable person, seek to discover why. You are blocking God’s work in you. How can you release your selfish attitudes, and embrace the flowing in and out of His work in you? Generosity (Deuteronomy 16:17; Proverbs 11:24-25; 13:7; Matthew 10:8; 2 Corinthians 9: 6-15) as a Scriptural definition, refers to give without expectations in return. This attitude and character allows us to give to others because God has given abundantly to us. It is the wise use of stewardship and the attitude that all possessions belong to God. We are merely the caretakers for His purpose. It will see the Lord as the Source of true blessing, not our selfish desires. The opposites are Greed, Stinginess, Selfishness and Miserliness. These rotten fruits rot because we hoard them and do not use them properly as Christ called us to do. This blocks the flow of God’s blessings and ‘living water’ from flowing in us. We will become stagnant and useless to the Kingdom or the people around us. Pride and arrogance will be the driving force, the quintessential things that God hates the most (Proverbs 6:16-18)! Generosity is the realization we have His living water (John 4; 7:38) flowing in us. To keep it fresh, it must flow out of us, too! The Dead Sea in Israel is dead. There is no life is in it because it has no outlet. It has a river flowing into it, but the water remains there, and becomes stagnated with harsh salts and minerals to the point that nothing can live or grow there. When we are stingy, we become like the Dead Sea–stagnant and lifeless. The living water within us will quickly become stagnant, like a mud puddle with mosquito larvae growing in it, useless, and even dangerous. Generosity is an example of our trust and reliance on God. Because He has given so much to us, way beyond what we can comprehend, we can therefore be charitable with others. This is an act of worship–to model Christ, and see the big picture that goods and material things are not important, but relationships are. This goes to giving back to God, providing to those who have less, and making sure your church is modeling this character. A selfish church that does not give, and only sees themselves as a charity, will become a Dead Sea rather quickly. How sad and pathetic that would be–an unconcerned, uncaring, and self-absorbed quandary to the neighborhood, and a disgrace to the Kingdom! 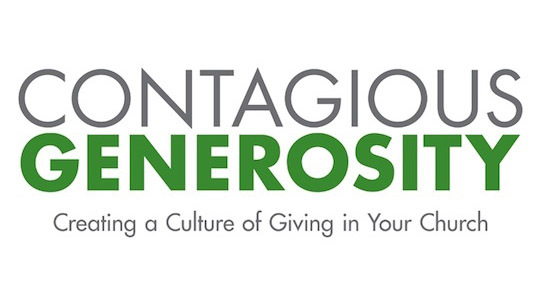 Think through the steps you need to take to put Generosity into action in a specific instance. If you are not a giving or hospitable person, seek to discover why. You are blocking God’s work in you. How can you release your selfish attitudes, and embrace the flowing in and out of His work in you? The lack of Generosity will reflect a lack of faith and obedience! If you think there are no rivers coming into you, then seek what is blocking them. Is it sin, attitude, fear….? God blesses those who steadfastly embrace His call, and who stay true to Christ. Let yourself be a rich and growing reservoir, overflowing like a fountain of living water that refreshes and encourages all those around you (Eph. 5:18). This will be your sweetness and virtue to others, which will point them to God and be a welcome mat to the Christian life. · Our relationship with Christ as Lord and not just savior is only true stewardship motivator! · Guilt, consumerism, enticing appeals, fancy campaigns, loyalty to the denomination, obligation or manipulation does not work! We as Christians are only effectively motivated by obedience, and never by manipulation. The focus needs to be how we can be more obedient to God and as leaders be motivators for Christian stewardship. We are blessed, not for our own benefit, but we are blessed in order to be a blessing to others (Gen 12: 1-3). · Thus, real Christian stewardship is a more of lifestyle from our willingness to grow in Christ. This is the quintessential motivation, our personal spiritual maturity, one’s growing relationship with God and a passion for Him.